Decided to do a winter drive in the snow and ice with my buddy. 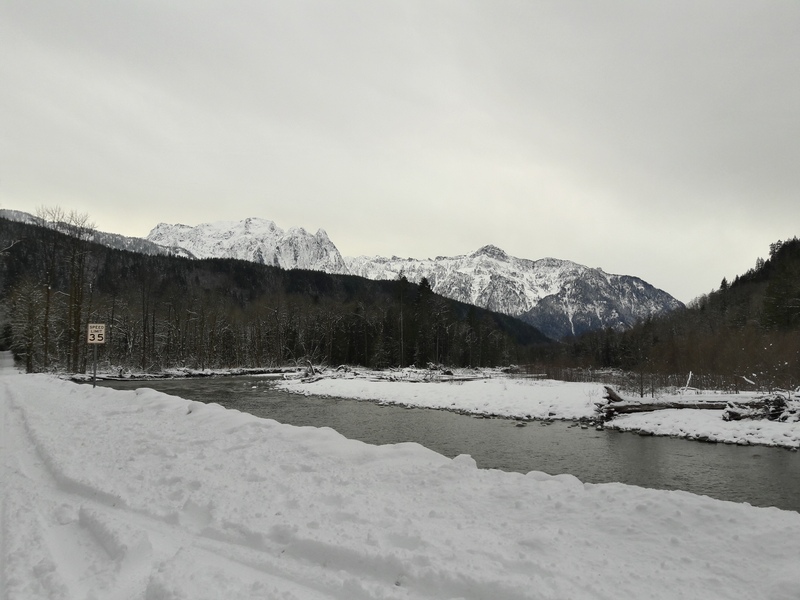 We headed towards Skykomish, WA to check out Beckler Road. It was a mostly clear day, which is unusual for this time of year near Stevens Pass on Highway 2. 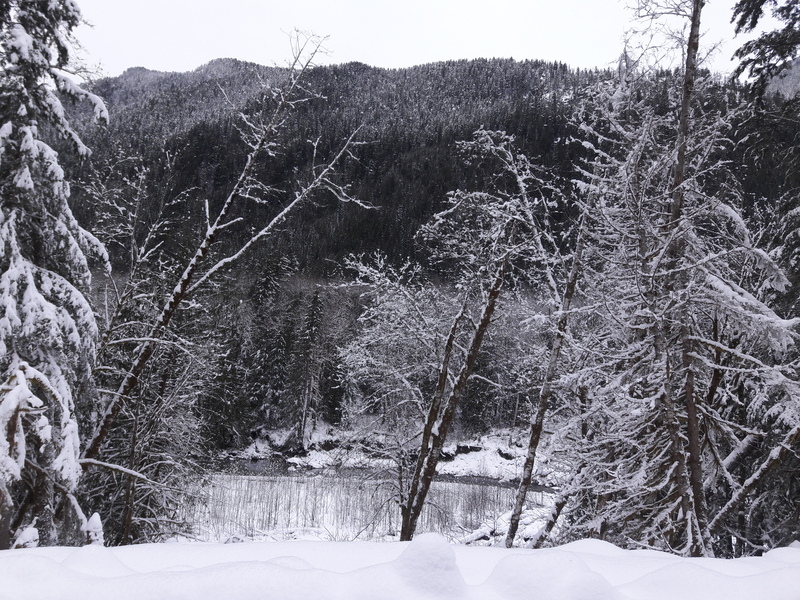 Highway 2 is one of my favorite state highways to travel as it affords continuous gorgeous views of the rushing South Fork Skykomish river and craggy Cascade Mountains. 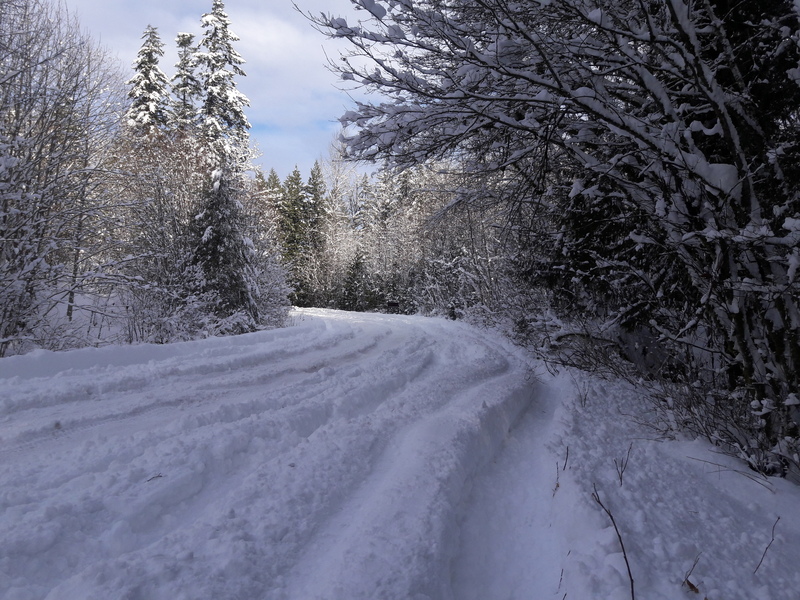 Beckler road turned out to be more trouble than it was worth beyond a few hundred meters; the snow was just too deep. Some heavily modified older Toyota pickups with substantial lifts and huge tires seemed to be doing just fine tho. 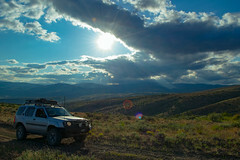 We still had the itch to explore some backroads so we headed back west to Index, WA and headed north on Index-Galena road. It was pretty slow going as there is a decent layer of ice on the road. We made it the mile post 6.2, where the road is closed due to river flooding that decimated the infrastructure. 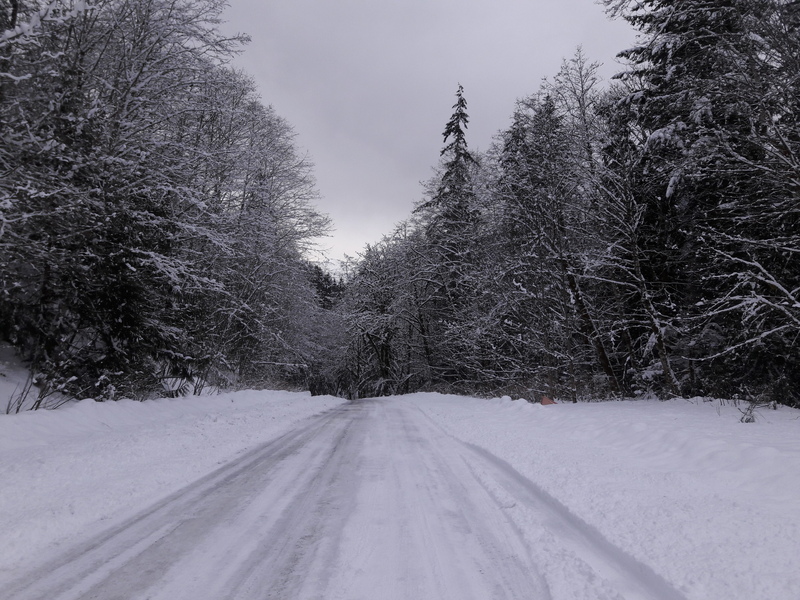 Snohomish County has a plan in place to relocate the road a bit further up the hill from it’s current location to prevent this sort of closure from occurring every year. After making our way to the end of the road we backtracked a little ways to stop and take in the snow covered mountains around us as well as to watch some Bald Eagles. Love your blog! We should meet up for a cruiser in the mountains sometime. My Cruiser is still in the building up phase, but it’s locked and baseline has been done, so it does pretty well. Thanks! The more people on a trail ride, the better. Unfortunately, It’ll likely be spring before and good trails open up again.